“Three hundred ninjas walk into a coffee shop. The breester says we don’t serve your kind here. I’ve always been proud of my sense of humor. Even if I couldn’t tell a joke to save my life. For me, a good sense of humor is not really about being funny. It’s about not taking things too seriously. I’ve always been proud of the fact that, no matter how bad things may be, I can always laugh about it. The truth is, there’s humor all around us. Life is funny, you know? But most of the time, we take it too seriously to notice that. When we stop, we started seeing the humor in things that we’ve been missing. To the extent that I can be funny — and by now, I can be funny — it’s not so much because I can come up with funny things, it’s that I see the funniness already in things. Or see how to defy the expectations that we have in order to make things funny. That’s the secret to a lot of improv we do. Sure, sometimes we’re funny because someone says something clever. But frequently we’re funny because the scene shows funny truths about life, and, because they’re pretend and on stage, it’s easy to let them be funny. Sometimes we’re funny because in our day to day lives, things happen in a consistent and logical pattern, and we find it funny when a scene deviates from that pattern. If you can recognize those same things when they’re not on stage, the world becomes a happier place. I enjoy laughing. I enjoy making people laugh. I do like being funny, because I like funny things. I love sharing them with others. Humor is one place I’ve been able to see that Finn and Caden are picking things up from being around me. They’ve come to several improv shows, and enjoy watching them, but they also want to do it themselves. They love giving suggestions during the show, but then they’ll want to play the games themselves afterward. Finn was the first, completely on his own, to start telling the “101” jokes we do in the shows. When Finn started, Caden had to as well. Finn understands why my pun punchlines are funny, but struggles to make his own. Caden doesn’t get it at all, but finds the whole conceit of the joke funny. But it really doesn’t matter. Whether it’s because they came up with a good punchline or because their joke was totally random, the results are funny. And it’s fun to see them wanting to share that with me. I hope that I can also teach them the truth in some wise words from A Wrinkle In Time by Madeleine L’Engle. The Last Dragonslayer, is Jasper Fforde’s first entry into the burgeoning world of the young adult book, home of such properties as Harry Potter, Twilight and Hunger Games. Anyone expecting there to be anything juvenile about the book will be disappointed, however. It’s accessible, but not the least bit watered down. Sure, it stays away from the offensive, but Fforde has never been one to delve into “adult material” in the euphemistic sense. And “Last Dragonslayer” is very much a Jasper Fforde book. In the Thursday Next series, in the Nursery Crimes books and in “Shades of Grey,” Fforde excels at world-building. His books are set in alternate realities that are fully developed and internally consistent. But he also has fun with it; if one is creating one’s own world, one is wasting the opportunity to do what one wants with it. It’s not really necessary to have dodo birds brought back from extinction in the Thursday Next novels, but, really, why not? And Fforde is clearly enjoying himself in “The Last Dragonslayer.” Creating a world in which magic use, and dragonkind, are both barely hanging on in a contemporary world doesn’t necessarily correlate with having terribly frightening but loyally friendly pet Quarkbeasts, but, again, why not? In typical Fforde fashion, the plot both winds and unwinds as the book progresses, but the story is something along the lines of an orphan running a magic agency dealing with the ramifications of the imminent death of the last dragon on magic use. As one might guess from the title, a dragonslayer is also involved. The story is enjoyable, but the real delight is the world that Fforde builds and the characters he populates it with. When the story reaches an agreeable conclusion, you wish you could hang out there after the book, in proper Thursday Next fashion. If you’re already a Jasper Fforde reader, this book will delight on the basis of being a great Fforde book. If you’re not; then shame on you, and this book may be the easiest jumping-on point yet to get a feel for his worlds. • Sent the manuscript for my second book to the publisher. • Bought “tickets” to go skydiving. • Seen my favorite singer in concert, and been recognized by her and her manager and producer. • Received a certificate as a member of the American Association of Christian Counselors. • Started planning a reunion of my best friends from college this summer. • Taught a five-year-old how the space shuttle works. Twenty-five years. It’s hard to believe. 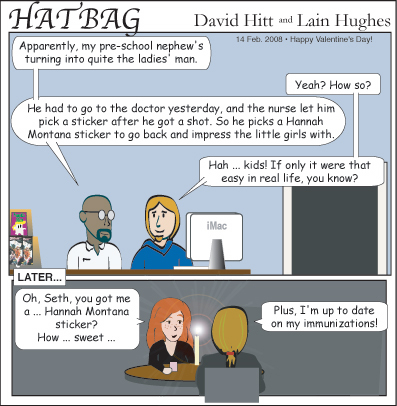 One of the first posts I published on this blog was my “Where were you?” story about how I heard. There’s an inclination to think of today in those terms. I was 10 years old. Today, I’m 35. I’ve lived a long time in between. 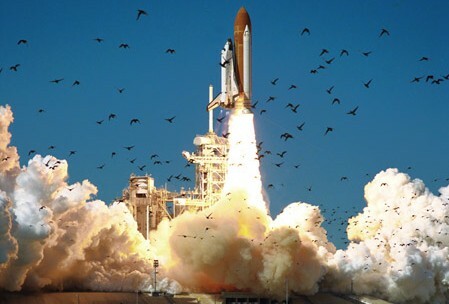 But my perception of the anniversary this year is different than it has been in years past, in large part because, today, I should be shipping the book Heather and I have written about the shuttle program through the Challenger accident to the publisher. And my thoughts today are very much rooted in that. In Greek mythology, hubris was blasphemous pride, putting oneself equal to the gods. And its consequences were almost always disastrous. And the whole earth was of one language, and of one speech. And it came to pass, as they journeyed from the east, that they found a plain in the land of Shinar; and they dwelt there. And they said one to another, Go to, let us make brick, and burn them thoroughly. And they had brick for stone, and slime had they for mortar. And they said, Go to, let us build us a city and a tower, whose top may reach unto heaven; and let us make us a name, lest we be scattered abroad upon the face of the whole Earth. And the Lord came down to see the city and the tower, which the children built. And the Lord said, Behold, the people is one, and they have all one language; and this they begin to do; and now nothing will be restrained from them, which they have imagined to do. Go to, let us go down, and there confound their language, that they may not understand one another’s speech. So the Lord scattered them abroad from thence upon the face of all the Earth: and they left off to build the city. Therefore is the name of it called Babel; because the Lord did there confound the language of all the earth: and from thence did the Lord scatter them abroad upon the face of all the Earth. Let me make two things abundantly clear. I do not believe the 51-L crew of Challenger was guilty of pride. And I do not believe that God destroyed Challenger because of hubris. And that’s what happened in 1986. The agency became over-confident. It had undertaken to create a vehicle that was one of the most ambitious projects ever undertaken, and succeeded in creating it. But then the agency took its creation for granted. The shuttle flew, and flew well. There were problems, some of which, in retrospect, were near-disastrous. But none of those problems resulted in loss of life or vehicle, so NASA took for granted that they weren’t that big a deal. Until, one morning 25 years ago, they were. And men and women died. And NASA picked up the pieces. And figured out what went wrong. And moved forward. The agency learned that it could not take its creation for granted. It was taught, the hard way, that the line between life and death is all too thin, and that every decision made needed to be made with that in mind. It would stumble again, most notably and obviously with the loss of the STS-107 mission of Columbia in 2003. But, as a rule, it learned the lessons. And went on to accomplish greater things than it had before the loss of Challenger. More than 10 years ago, NASA and space agencies of the world gathered together, working together despite their many languages, and created a laboratory that went so high that it reached the heavens. The curse of Babel was, in a real way, undone. But this time, because of the lessons of Challenger, it was done not out of pride, but humility. And that is the legacy of 51-L. 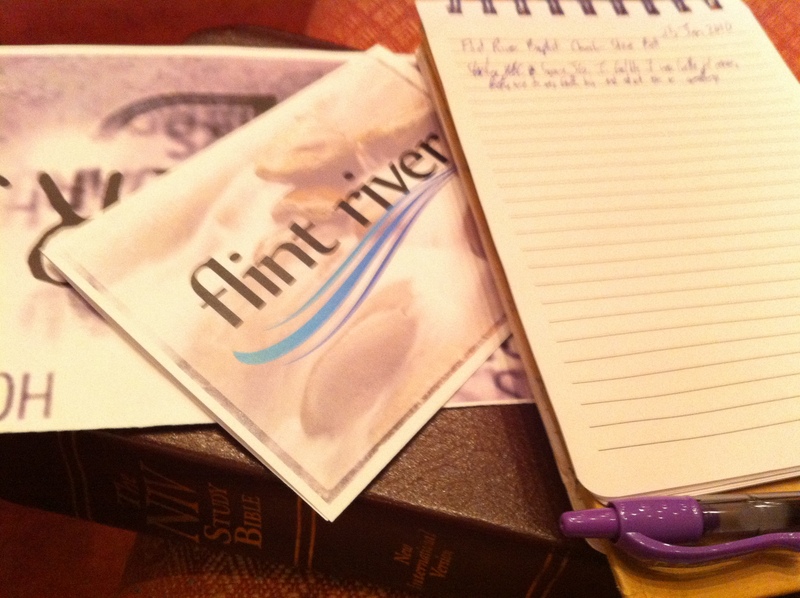 It looks like I’m going to stop wandering around so much to different churches and start attending Flint River regularly with Heather and the boys, so I’m discontinuing my regular “Another Sunday” series. If I end up visiting somewhere new, I may write another entry, but, right now, it just doesn’t work for where I am. Instead, I’m going to try starting a new series, “You Are Free,” focusing either on teaching about how Christians are free, or riffing off teachings that give false perceptions of that freedom. This is the first part of that series. God wants you to serve. Have you ever been told this in church? Hopefully so. Because it’s true. Have you ever been told that you’re not serving right, or serving enough? That’s a common one to here, too. But what does God want? Maybe you’ve been told that people use “doing the family stuff” and “doing life” as excuses not to serve. They say they’re too busy because of the new baby or the kids’ ball games. Likewise Sunday School or other small groups. Those are “discipleship” or “Bible study,” not service. Things like being a good parent, being a good spouse, honoring your parents as a child are “good qualities to have,” but aren’t service. They’re not what God expects from you. But what does God expect? What does He want? What is service? If you’re a slave, a servant, service is doing what you’re told. If that’s to work in a field, or clean a house, that’s service. If it’s being told to sing, or to play with a child, that’s service. We serve God when we do what He tells us. When Jesus on Earth, there were three things He said to do that were so important they were called “great.” Two great commandments. One great commission. Love God. Love others. Make disciples and teach them to obey. Worship. Relationships. Discipleship. Study. These are the things that God asks us to do. And if we do them because He asks us to, they’re service. That doesn’t mean that those are the only things you should do. Maybe you’re called to teach Sunday School. Or to help the homeless. Or to be in the choir. Or to go on a mission trip. If you are, that’s what God’s asking you to do. And doing it because He asks is service. But maybe the thing God most wants you to do right now is to be a better spouse. Or to be the best parent you can. All of these things are under that “Love others” commandment. Paul spends a good bit of time breaking down the details on these things in his letters. And if that’s the big thing God’s asking you to do right now, then that’s what you should be doing it. And if you do it the way He asks, that’s service. There’s no cookie-cutter, one-size-fits-all approach for what serving God looks like. Nobody else can tell you. Nobody else should make you feel guilty; not if you’re asking Him and trying to do what He asks of you. When He was on Earth, Jesus didn’t teach Sunday School, or join mission trip teams, or serve on committees, or sing in the choir. He went around talking to people about God, and helping people He met with problems. That, certainly, can be service. All we know about his mother Mary is that she did what God asked her to do and tried to be the best mom she could. That’s service, too, because that’s what God wanted. This isn’t about liberty; it’s about freedom. It’s not about saying you don’t have to do anything; God does want you to serve. It’s about being free to ask God what how He wants you to serve, and being free to do that out of love for the Father, regardless of anyone else’s expectations.